Cafe Crema its one of the best selling coffees in Puerto Rico. Great taste and aroma. It is excellent for expresso coffee. Cafe Crema Crema from Puerto Rico has created the perfect roasts for that moment so Personal. The Cafe Crema is gathered and selected by hand. 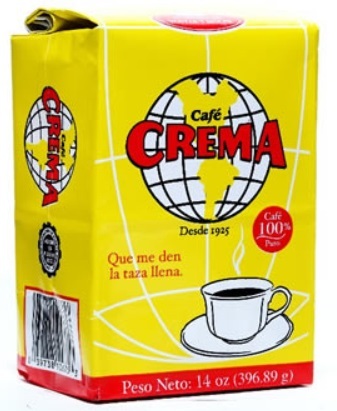 El Colmadito.com sells Cafe Crema Coffee from Puerto Rico in 14oz bags. Cafe Crema Coffee Canned in Expresso and Regular blend. And Cafe Crema Coffee Instant Coffee.